Big. Green. Prone to violent fits of rage that stem from gamma-induced steroid strength that had certain “side-effects”. But enough about Sandy’s dietary habits. We’re here to talk about the Hulk. And this Hulk is going to smash him some Ultron bots, if you have any in your collection of figures that is. 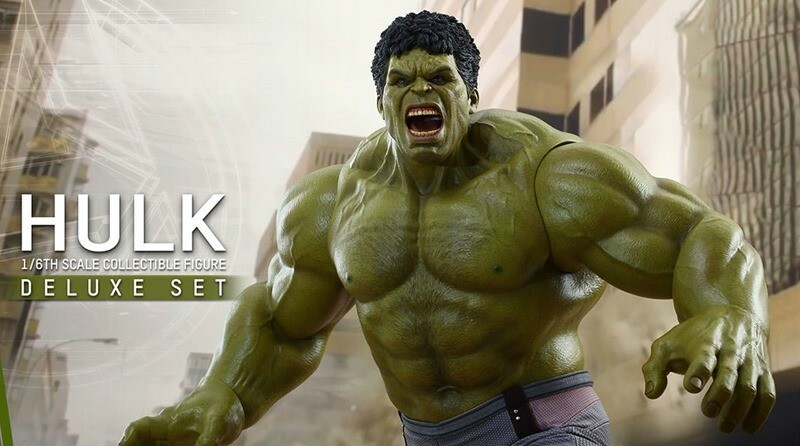 Just in time for the Avengers sequel, comes this brand new Hulk figure. He’s a massive brute in the films, and equally gargantuan in his collectible phase. I mean, just look at the jade Goliath! I’m just massively impressed by the fact that he has specially-designed Hulk underwear. Which I need for the next time I hit an all you can eat buffet, as I morph into the incredible bulk. This Hulk will be out between November 2015 and January 2016.